Get your $70 DOT/CDL Physical Exam at our convenient clinic located just minutes off of route I-95 in Kittery Maine. We are located on route 236 just minutes from the Kittery traffic circle. We have a large parking area which is suitable for 18-wheelers in and out access. Whether you are a local driver or just passing through, we are here to serve you and get you back on the road in no time! Pass Your DOT Medical Exam! Dr. Barrick knows how important it is that you continue your livelihood as a commercial driver. 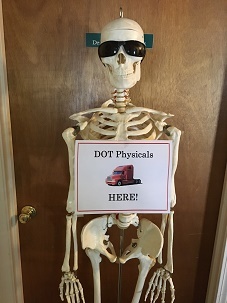 With his extensive knowledge of the DOT Physical Exam medical guidelines, Dr. Barrick will steer you through the DOT Physical Exam requirements so you can Keep on Truckin’. Looking for a DOT Physical Exam or CDL Physical Exam in Kittery, Maine? You’ve come to the right place! Want to save time? Drivers can call our office at (207) 703-0880 and request that we send you the documents needed to fill out to expedite the time you spend with us. We do this to help all drivers keep on time without waiting hours like other places in town. You can save even more time by downloading the DOT physical exam report form by clicking the link below. Filling out the form before your appointment will help us get your DOT Physical Exam completed quickly. Companies: Want to save MONEY? We work closely with contracted companies to discount the already discounted price of $70 so their drivers can stay on the road and the companies can save more money. Contact our office about becoming a contracted company with us. From the South, take exit 3 to route 236 North and we are located approximately one mile up the road on the right in a complex called the Kittery Business Center. From the North, take exit 3 to the Kittery Traffic Circle, and go North on route 236. We are located just more than a mile on the right in the Kittery Business Center. *If you are driving a large truck, you can pull around the back of the building and park off to either side for easy in/out access. It is a "horseshoe" shaped lot that can be entered from either side. If you have trouble finding our location, please call (207) 703-0880 and our office staff will guide you here. 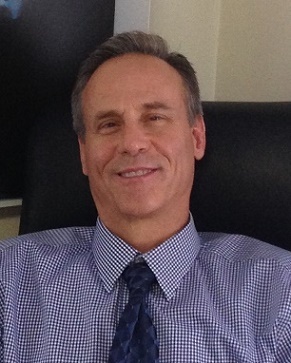 Dr. John D. Barrick is a Certified Medical Examiner in the National Registry of Certified Medical Examiners. Dr. Barrick has been practicing in the seacoast area for 20 years and is an integral part of the community. He received his Doctor of Chiropractic Degree from New York Chiropractic College in 1996. He has been practicing ever since with the goal of treating different neuromusculoskeletal ailments as well as keeping our roads safe by examining the commercial drivers that keep our economy going!